II Corinthians 4:18 “…we look not to the things that are seen but to the things that are unseen.” It is easy to miss things, even ones right before your eyes. In 2006 Sarah and I were in New York City staffing a summer project of college art students. We were creating space for Christians who were artists, space to grow in both those realities – being an artist and a Christian. That summer I fell in love with Sarah. That summer a young college student, named Stephen, from a small college in Rock Hill, South Carolina crossed our path. That summer we gathered a series of photos to be used in a tool called “Soularium,” designed to help people get into deep conversations using those pictures. All these things we saw with our eyes: Sarah and I got married, Stephen Crotts became a good friend who founded an organization we now staff, and Soularium continues to be used 12 years later. But what did our eyes not see? That same summer a young female college student from the Fashion Institute of Technology, named Cinelle, also participated in our summer project. She helped design and write a piece we used in the art show at the end of project, which was so satisfying for her that she explored writing further. Cinelle changed schools and majors and eventually got her Masters in Creative Writing at a small college in South Carolina. In that time she married, had a daughter and divided her time between New York City and Charleston, SC. She also began writing her first book, a memoir about her childhood in the Philippines and being an immigrant in the US. Sarah and I had the opportunity to see Cinelle at a book signing held at a Barnes & Noble north of Charlotte. We were excited to see how she had grown in her art and her relationship with God in the eleven years since 2007. She was surprised and excited to see us as we all exchanged hugs. She told us at one point how significant the summer she spent with us in Manhattan was in her life. 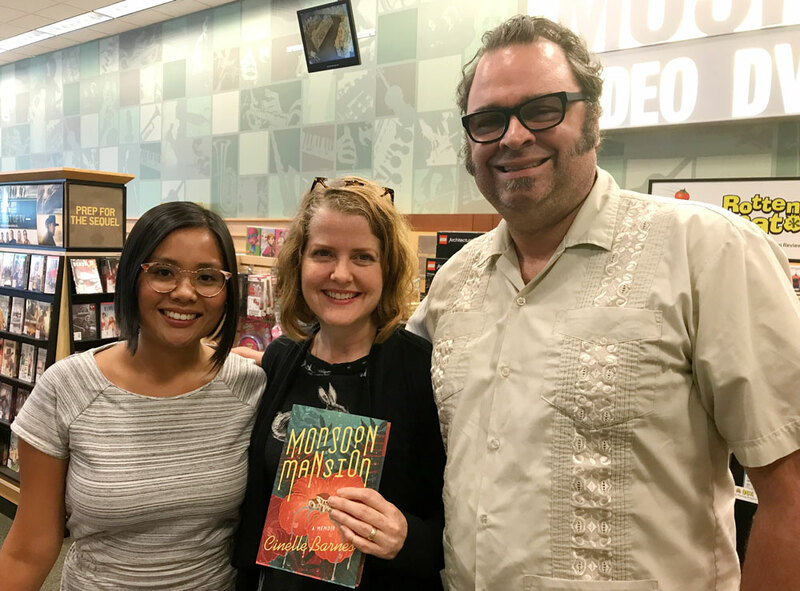 She read a few passages from her book—Monsoon Mansion—answered questions, a few from me, and told us that she already was working on her next book—a series of essays. Seeing Cinelle grow and flourish, knowing she wants to know Jesus and be a great writer was wonderfully satisfying. We had no idea how God had continued to work in and through her life. The Apostle Paul’s next sentence in verse 18 of II Corinthians 4 is “…For the things that are seen are transient, but the things that are unseen are eternal.” Amen.